Just completed construction. Located in Tinamaste on a breezy ridge that ensures mild & temperate climates year round in Costa Rica's tropical mountains. The nearly 1 acre lot affords lots of gardening possibilities. The area around Tinamastes is known for its organic agriculture and this largely due to the climate and soil quality. 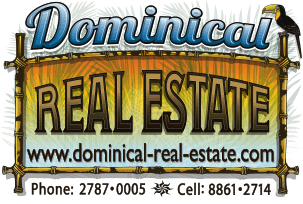 The property is located about 15 minutes to Dominical Beach where there are banks, groceries, hardware, shops and services. Dominical is known for its surfing and ocean and rain forest related tours. The famous Nauyaca Waterfall tour's office is about 10 minutes away, as is the Reptilandia reptile park. 15 minutes inland will bring you to San Isidro de Perez Zeledon, the southern zone's larges "city". San Isidro offers hospital and medical services, both socialized and private. Also there are car dealerships, malls, shops of every sort, a movie theater, restaurants and so on. The access is easy and two wheel drive will do it, although four wheel drive is recommended for the area as many of the area's road's require it. This well-built house offers a nice entry point for the young investor looking to own a property in Costa Rica. Or, it would suit the role of a second home for the person already living here that would like a guest home for friends and family, or an income generating property. Long term rentals would be a snap with this house.